B & A Ltd- deals with only one product- Black Tea. 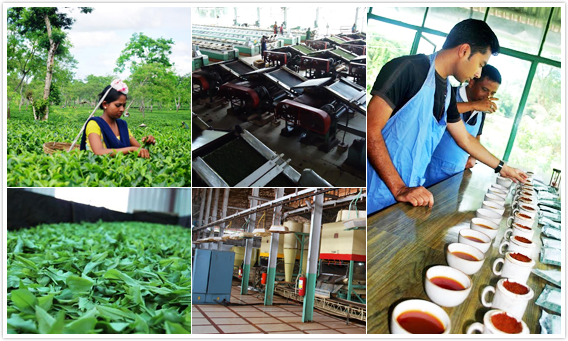 The company operates through 7 quality Tea Estates located in Upper Assam. The names of the Tea Estates are Barasali, Gatoonga, Kuhum, Mokrung, Salkathoni, Samaguri, and Sangsua. 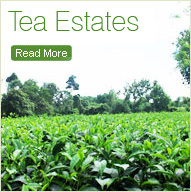 The Company operates three tea processing units in Gatoonga, Salkathoni & Mokrung tea estates. Carefully plucked green tea leaves are carried by our own transport to the factory without any delay. Upon arrival tea leaves are immediately spread on the withering trough. The following sequence is maintained in the production of Black Tea. Withering - Processing - Fermenting - Drying - Sorting & Grading - Packing. Upon careful spreading of green tea leaves in the withering troughs By using fans that blow hot and cold air through the green leaf, their moisture is reduced by between 28%-32% (chemical wither), this process lasts for 14 to 16 hours. The green leaf is now limp and flaccid (physical wither) and can now proceed to the processing area. The withered leaf when ready is rotorvaned prior to CTC processing (i.e. preconditioning of the withered leaf). A CTC (Crush, Tear and Curl) rotorvane process lasts for about 5-7 minutes. This is the oxidation process for the CTC teas and lasts between 70 to 120 minutes, depending on the colour and the smell (nose) of the fermented leaf and which process has been used. It is at this point that the green colour of tea leaves turns a coppery red or rust colour. To halt the natural process of fermentation and to displace moisture, the fermented leaf is fed into dryers in a regular manner with controlled temperature for 22 to 25 minutes. All the fermented CTC tea is dried in VFBD's (Vibro Fluidised Bed Dryers) preserving the natural bloom, liquor and taste of the tea. The 'black' teas can now be sorted into primary and secondary grades by passing them through sorting machines that use meshes of various sizes. CTC teas are also passed through Fibre extractors to remove excessive fibre and the sorting of these will produce Primary and Secondary grades. Following the Sorting process a grade of tea is bulked together and stored in climate controlled bins. The packing process involves the transfer of a single grade of tea that has been bulked, to be released from a storage bin and conveyed to the packing area. The tea is then carefully measured and funneled into large Kraft Paper sacks (other variations of packing material also exist), sealed and gently placed on wood pallets. It is at this point that an Invoice of tea is created. Invoices can vary in size from 10 to 100 paper sacks. 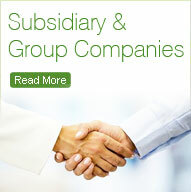 Each Invoice is then given a unique identity number - an Invoice Number. Throughout the Invoice's life, this unique number is a traceable record. Invoices are than carefully transported in covered lorries to its destination. Every effort is given not to damage the teas during transportation. Each and every Invoice of our tea is tasted by our professional tea tasters based at Kolkata. This high level of attention ensures that all our tea is carefully monitored and, if needs be, immediate action can be taken to eliminate defects before the teas reach our customers. In every steps of the manufacturing process careful observations are made by our experienced staff so that a perfect cup is reached to our customers. All of our factories are FSSAI and ISO 22000:2005 certified. Which ensures the product is being manufactured from a sustainable source and a great degree of hygiene being maintained during the manufacturing process.